Joan Medlicott. The Spirit of Covington. New York: Atria Books, 2003. 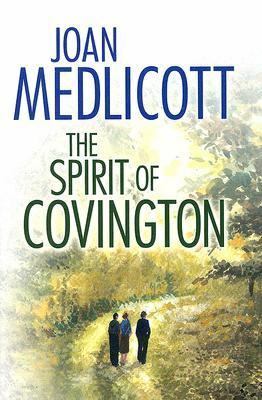 The Ladies of Covington that you know and love are back in this, the fourth book of Joan Medlicott’s popular series. Tired of watching their lives waste away at a dismal Pennsylvania boarding house for widows, 60-something Hannah, Amelia, and Grace threw their lots together when Amelia unexpectedly inherited a farmhouse in the little town of Covington. Often compared to Jan Karon’s Mitford, Covington is a small, North Carolina mountain town near Asheville. In this installment of their adventures, the unthinkable happens: a careless forest fire burns the Ladies’ precious renovated farmhouse to the ground. Amelia, for all her complaining about the opossums in the walls and the creaky floorboards, is the most devastated. With the loss of the farmhouse, all the other losses in her life (the deaths of her husband and young daughter in particular) rise up and threaten to send her into a deep depression. Hannah and Grace are also saddened by the loss of their possessions and the house, but they are initially willing to rebuild in an affordable, modern style. But Amelia’s pain causes them to reconsider, and soon the Ladies are having an exact replica of the old building constructed. All seems well, but building a house takes a long time, and each woman will face different challenges that will threaten her former lifestyle: insistent gentleman friends proposing, abused children who need a guardian, and the problems visited on them by their own blood relatives all present Hannah, Amelia, and Grace with compelling reasons to move on with the rest of their lives. 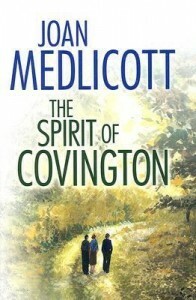 Will they decide to stay in Covington, the town each has come to know and love, after all? And will they remain, together, the Ladies? Blonnie Bunn Wyche. The Anchor: P. Moore Proprietor. Wilmington, NC: Banks Channel Books, 2003. I don’t consider my questions treason. I think it’s more about common sense. Pauline Moore is full of questions, and opinions. Everyone is: it is 1764 and the small town of Brunswick, North Carolina, along with the rest of the colony, is stirring under England’s stifling taxation. Unfortunately, since Pauline is female and only fifteen at that, she is expected to stay quiet and serve the real thinkers: men. But when her profligate father leaves town, Pauline is the only one left to take charge of her little sisters, sick mother, and the family tavern. The next few years will be hard ones: this spunky heroine will face the chaos of a budding rebellion, the daily tasks of managing a business and household, and powerful men who assume that her gender makes her a weak and simple target. Pauline is anything but. Educated, strong, and stubborn, she grows to adulthood alongside her new nation, where she imagines everyone, including slaves and women, will be free. 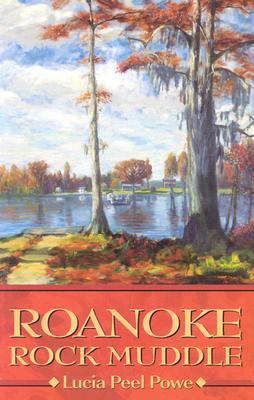 In this beautifully written and precisely researched tale, Blonnie Bunn Wyche provides a stirring look at the colonial town of Brunswick (now in ruins), the birth of the Revolutionary War in North Carolina, and a strong and fiery heroine who dares to stand up for freedom for all. Pauline Moore’s bravery and moral code will resonate in the minds of young women and readers everywhere. 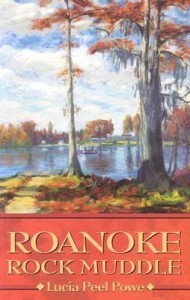 Winner of the Juvenile Fiction Award from the American Association of University Women, and the N.C. Historical Society of Sherrills Ford’s Clark Cox Fiction Award. Dixie Land. Serenity. Kernersville, NC: Alabaster Books, 2003. After she finds her fiancé with another woman, Maggie Thornton decides to bail out of the life she’s been living. With no specific plans, she packs up her belongings and heads south. Only because she needs a break, she stops in the little (fictitious) town of Serenity, North Carolina. The good people of Serenity welcome Maggie, and soon she has a place to stay, a job, friends, and a new love. But Maggie’s past comes back to threaten her happiness when her ex-fiancé attempts to push his way back into her life, abusing the trusting nature of Maggie’s friends to keep tabs on her and to subvert her new romance. Cynn Chadwick. Cat Rising. New York: Harington Park Press, 2003. Now that Cat Hood is finally a published writer, her life should be coming together. At least that is what she has always thought would be the case. Instead, she is even more unsure of who she is and her future. Being “famous” in (fictional) Galway, North Carolina, is tiresome, and she has never felt such a void in her romantic life. Her friends and family all have plans for her. Travel the world. Stay at home in the Blue Ridge Mountains. Find someone to share her life with. Stay independent. Although everyone has an opinion, no one knows Cat like she knows herself – or the lifelong dream she has to write a book about her grandmother in her homeland of Scotland. Just as Cat finds the perfect partner and becomes more comfortable promoting her book, she learns of an opportunity to spend a year in the United Kingdom. Although leaving means walking outside of her comfort zone and missing those dearest to her, Cat realizes that taking this chance is exactly what she needs. Tim Myers. Room for Murder. New York: Berkley Prime Crime, 2003. After a fire destroyed the original Dual Keepers’ Quarters of the Hatteras West Inn, Alex Winston, owner of the lighthouse-themed hotel, has a new building constructed with funds from emeralds found on the property. After finishing touches are put on the structure, Alex decides to host a mayoral debate to get some publicity. The day is going well – there’s a great turnout and two of his best friends, Mor Pendleton and Emma Sturbridge, announce their engagement – until Mor discovers a dead body in the driver’s seat of his truck. The dead stranger is Emma’s ex-husband, and both Emma and Mor become suspects. A few days later, one of the candidates is found dead. The two cases seem completely unrelated, but Alex wants to investigate the crimes. Unfortunately for him, the crotchety sheriff has no interest in an amateur fiddling in his cases. As the mayoral race heats up and Alex’s relationship with Elise Danton, his housekeeper, strains, he is determined to get his sleepy (fictional) town of Elkton Falls back to normal. When Hurricane Zelda hits right as Mor and Emma’s wedding ends, the remaining guests find shelter in the lighthouse. Within those walls, the truth behind an unlikely murderer surfaces, and Alex helps solve the mystery. Room for Murder is Tim Myers’ fourth novel in the “Lighthouse Inn Mystery” series. Tim Myers. Murder Checks Inn. New York: Berkley Prime Crime, 2003. In Tim Myers’ third novel in his Lighthouse Inn Mystery series, the shocking murder of innkeeper Alex Winston’s uncle Jase is not the only mystery. Jase, a lawyer in the fictional town of Elkton Falls, North Carolina, had been working on the estate of Mathias Trask at the time of his death. Alex and most of the locals are unfamiliar with Trask or his stuffy family members who have come to Hatteras West Inn as part of his last request. Although it is not a stretch to suspect Trask’s estranged wife and greedy children of being interested in the Mathias’s will, one of them murdering his lawyer is. As Alex grieves and deals with the odd family, he decides that he must find his uncle’s killer in order to cope. He investigates the people who have come to Hatteras West: the Trask family; Mathias’s secret daughter who has just been announced to the rest of the family; Alex’s distant brother Tony who relied on Jase’s financial help and would have benefited from his inheritance, and a strange drifter who suddenly showed up to help out at the inn. Just as time is starting to run out and Alex’s friends are threatened, Alex discovers the culprit and brings closure to Jase’s death. Murder Checks Inn is the third novel in Tim Myers’ “Lighthouse Inn Mystery” Series.